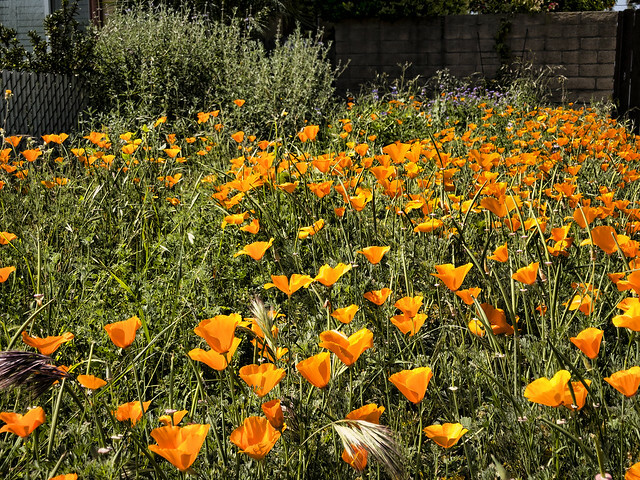 Poppies abound in Downey this spring! (See Local wildflowers for more.) This time, it's the California Poppy, our state flower since 1903. April 6 is California Poppy Day.